Despite being announced in mid-2015, we don’t know much about how Ghost Recon Wildlands will actually play. Everyone will get to find out exactly that in the beta, which you can sign up for right now on the official site. For more of next year’s best bets, have a look at our list of the upcoming PC games. The sign-up page is right herewith the beta registration button at the top. You’ll need a uPlay account, natch, but other than that it’s as simple as selecting your platform – looks like it will be available on PC, Xbox or PS4 – and waiting for the email. No date as of yet. The game itself is due on March 7, almost exactly a year after The Division. The connection there is that the Division beta started in late January – we’d expect something similar here. 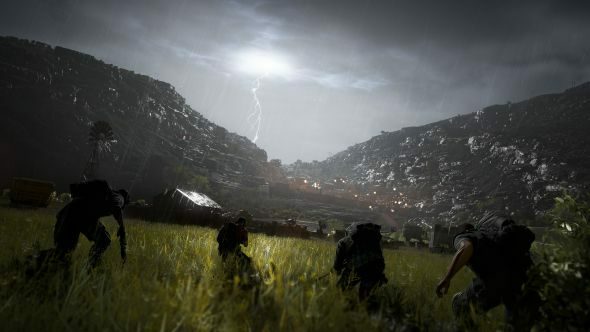 Wildlands is clearly quite a different game, but has the same open-world multiplayer thing going on, even if it’s more co-op focused than MMO-like. Do check out the newest Wildlands trailer for a little more from the game – expect Ubisoft to ramp up their output once we’re into the new year.